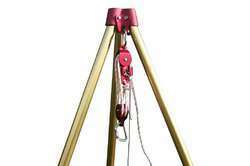 We have carved a niche amongst the most dominant names in this domain, involved in providing superior quality range of Heavy Lifting Tripod. 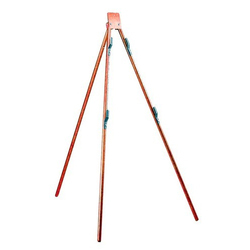 B. C. Marine Stores Supply Co.
Tripod & Bipod Stands for Prism Poles are also amongst our manufacturing items. For safe transportation of the Poles, which are sensitive to bending forces we manufacture specially made PVC Boxes.